Experience the richness and intensity of one of the world’s most renowned choirs in the beautiful surroundings of St John’s Kirk in Perth City Centre. The Sixteen’s popular Immortal Legacy programme has a distinctly British feel, spanning over 500 years of choral music. 16th-century composers Tallis and Byrd wrote at times of religious turmoil and national upheaval, producing magnificent works of beauty and musical mastery. 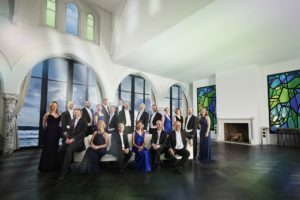 Their legacy can be traced to some of Britain’s most celebrated 20th and 21st century composers, including Britten, Tippett and James MacMillan, whose works complete this enlightening programme. Running time approx. 1 hour 45 minutes, including interval. 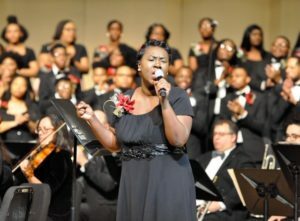 The Morgan State University Choir is one of America’s most prestigious university choral ensembles. The choir has performed around the world to critical acclaim and with major symphony orchestras including Chicago Symphony and the New York Philharmonic. In 2015, at the request of First Lady Michelle Obama, the choir performed for a nationally televised concert in the White House along with Aretha Franklin. Led by Dr. Eric Conway, Director, the choir will perform an all-American programme including American spirituals/ gospel music, American art song and excerpts from Porgy and Bess. Join us for a soul-stirring evening of music in St Matthews Church. Since 2004, Eric Conway has served as the director of the Morgan State University Choir as well as chair of the Fine and Performing Arts Department. Conway has travelled all over the world, directing the choir in Czech Republic, Ghana, China, Russia, Brazil, South Africa, Australia and Columbia, to name just a few destinations. Prior to serving as Director, Conway served as principal accompanist for the choir for over twenty years.